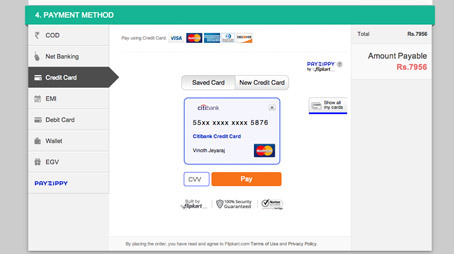 Flipkart will automatically save your card when you enter the card details and make a payment. This is to enable faster payments during future transactions. 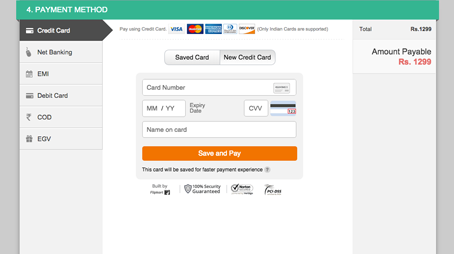 Only your card number, expiry date and name on card are saved. CVV Nos are not saved. Flipkart uses world class encryption for storing card details and the systems are PCI DSS security certified. Select your saved card, enter the card CVV number and you are done! 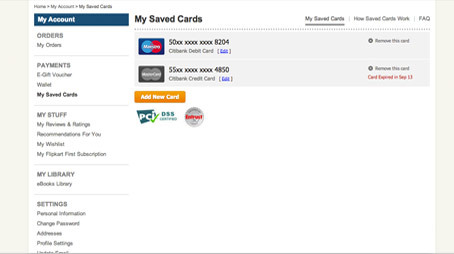 View your saved cards on the “My Saved Cards” page in My Account.